I wish I had the time to cut a trailer like this together. I’m not saying that sarcastically or in a tone of, “These people need to get a life,” because I genuinely believe that. I also like trailers like this because it feeds the desire of seeing a trailer for Episode 8. 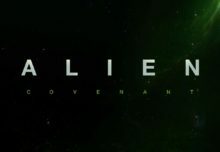 You know there are people who, even though they know this was fan-made, want to believe so badly that it is the real trailer. Here’s to hoping Disney releases something, anything, sometime soon. 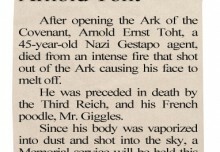 1936 Obituary For Arnold Toht.